Founded in the motive to ensure the rights of the child and their freedom of expression, Deborah Levison, Professor at the Humphrey School of Public Affairs, and recipient of the Human Rights Initiative (HRI) grant, uses tablets, a short video, and response questions, to create a space for youth in the global south, to express their feelings and reactions to daily life. Read more about this work supported through the HRI interdisciplinary research fund. 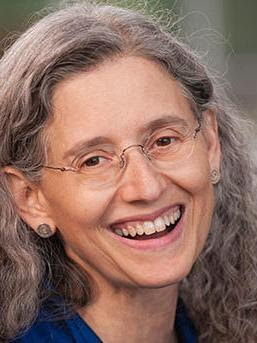 Through her years of research, Deborah Levison, Ph.D., has noticed a pattern in large-scale studies conducted on children: “they tend to be treated as objects of research” rather than individuals with choice, power, and agency. As a result, critical information is omitted from consideration when it comes to policymaking that impacts children around the globe. Levison is an economist, demographer, and professor at the Humphrey School of Public Affairs, who has worked extensively on the intersection of children, labor, education, and human rights. With support from the Human Rights Initiative Grants, her team is establishing a new method by which to gather large amounts of data on 12 to 17 year-olds in the Global South and the human rights matters that concern them. Often, studies on children’s perspectives on human rights are conducted in small numbers, creating rich insight into individual experiences, but failing to represent the greater population at large. Moreover, it would be costly and time-consuming to simply replicate that method over-and-over. The Human Rights Initiative grant is supporting a pilot project to be conducted in Tanzania, in which one child in the 12-17 age range is randomly selected from each home. The child is given a tablet or similar electronic device which will depict a 1-minute animated story. Due to the relatively low cost of these types of electronic devices and the ability to reuse them, the method as a whole will be a relatively inexpensive way of collecting data on children’s perspectives on human rights matters. That children will be interacting with the electronic device rather than an adult directly decreases the risk that the child conforms her or his response to what they think is expected, thus producing honest answers. Furthermore, animation and images speak to children in a way that adult-to-child questioning cannot, and they do not preclude illiterate children from participating. Levison’s research team also consists of Frances Vavrus, Ph.D., professor in the Department of Organizational Leadership, Policy, and Development in the College of Education and Human Development, and Anna Bolgrien, a second-year doctoral student at the Humphrey School of Public Affairs. Together, they aim to create a model research instrument, that includes the animations discussed above, to be used by human rights researchers, practitioners, and policy makers. A second goal is to create evidence for the effectiveness of the ACV method, so that it can be applied by organizations and governments around the world and in fields beyond work and education.